More than 100 people spoke at a sometimes-contentious public hearing on Seattle's plan to allow denser construction in more than two dozen neighborhoods while requiring developers to create affordable housing. Here are excerpts from some of their statements. It was a divided room Thursday night as more than 100 people spoke at a public hearing about Seattle’s plan for taller buildings and denser construction in the urban cores of 27 neighborhoods. 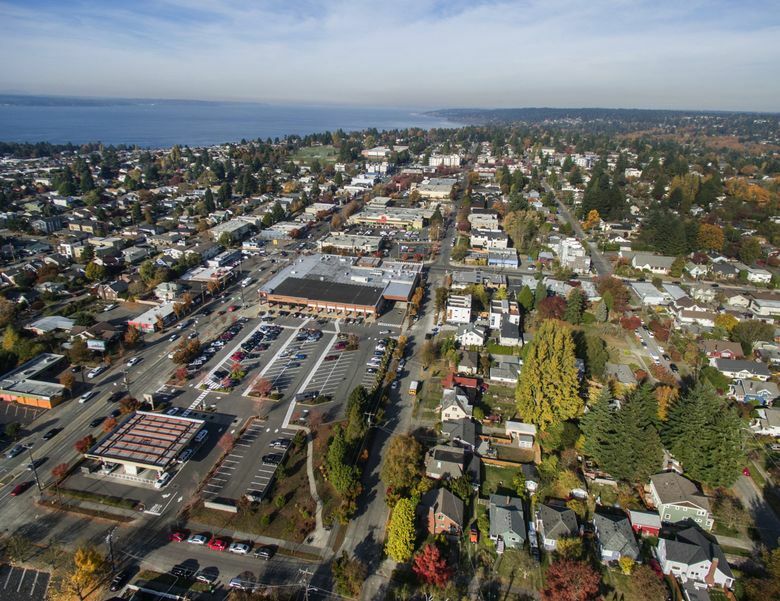 The plan would upzone blocks where apartments and commercial buildings already are permitted and allow denser housing on 6 percent of Seattle’s single-family lots. It would also require developers in those areas to create affordable housing. Dozens of residents urged the council to quickly adopt the upzones, and dozens of others said aspects of the plan could change their neighborhoods for the worse. “I’m going to run a tight ship here. I’m not going to tolerate any heckling,” Seattle City Councilmember M. Lorena González said as she opened the packed and sometimes-contentious hearing, which wound up lasting more than four hours. — Capitol Hill resident Jacinta Fitzgerald, who left work early Thursday afternoon to stand in line with others who signed up to speak. — labor leader Nicole Grant, arguing the upzones plan would produce housing for those newcomers, including thousands of affordable apartments. — Jeff Dubrule, another Wallingford resident, saying apartments were banned on many blocks decades ago to keep people of color out of desirable neighborhoods. — Central District resident Ruby Holland, warning that upzones would contribute to displacement in the city’s historic black neighborhood. — Matthew Mauer, a lobbyist for the real-estate company Vulcan, Inc., saying the city’s plan would ease pressure in the housing market because developers would build more market-rate and low-income apartments. — West Seattle resident Natalie Williams, noting the plan would allow developers to pay fees of $5 to $32.75 per square foot in lieu of including affordable apartments in their projects. — John Stewart, a resident of the Ravenna-Cowen North Historic District, arguing against zoning changes in his neighborhood. — University District resident Brooke Brod, saying more options are needed for people who can’t buy $1 million houses. — Madison-Miller resident Anne-Marie Lowe, suggesting the upzones could carry unintended consequences for renters sharing old houses in her neighborhood. — Fremont resident Tom Allen, opposing proposals by some council members to scale back the upzones on some blocks. — Crown Hill resident Ann Selznick, backing a proposal by Councilmember Mike O’Brien to reduce upzones on some blocks in her neighborhood while boosting them along 15th Avenue Northwest. — Morgan Junction resident Deb Barker, praising legislation championed by Councilmember Lisa Herbold that would require developers who raze relatively inexpensive apartments to engage in mitigation. — Downtown Emergency Service Center case manager David Helde, who tries to secure apartments for homeless people. — Bellwether Housing’s Allison Bolgiano, saying the developer fees from the plan would provide nonprofits with funding to build more low-income housing. — climate activist Carolyn Rodenberg, urging the council to include tree-canopy protections in the plan. — Sierra Club activist Becca Monteleone, telling the council the upzones would help combat sprawl. — Broadview resident Iskra Johnson, saying single-family houses should be preserved because artists use them. — West Seattle resident Randy Riedl, arguing his house probably should be razed for apartments. — Stephanie Bowman, a Port of Seattle commissioner, sharing concerns about traffic on Beacon Hill.